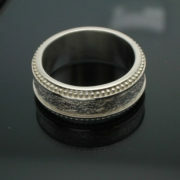 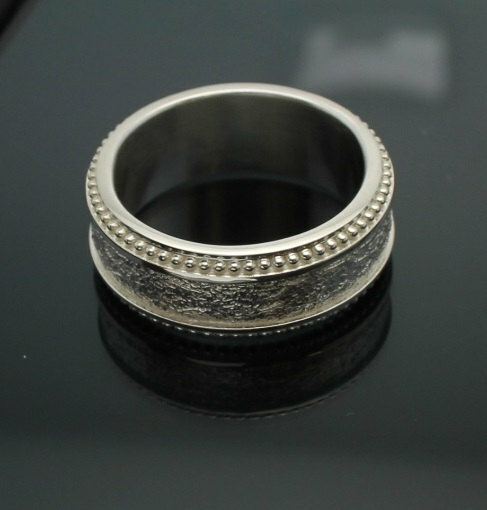 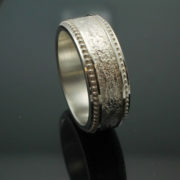 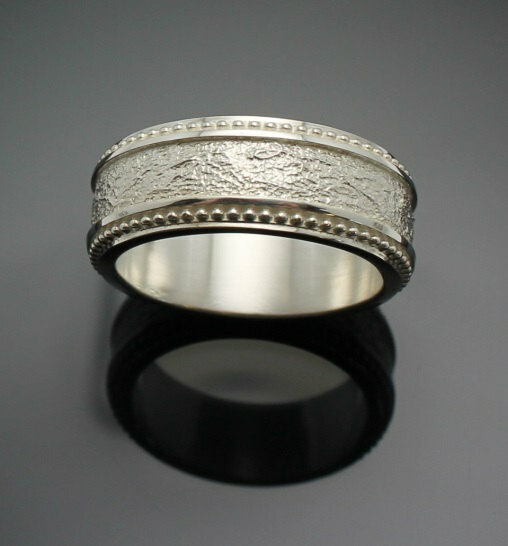 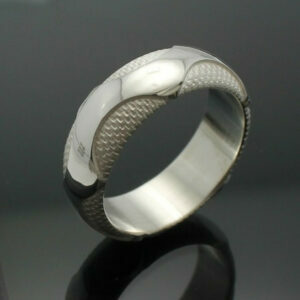 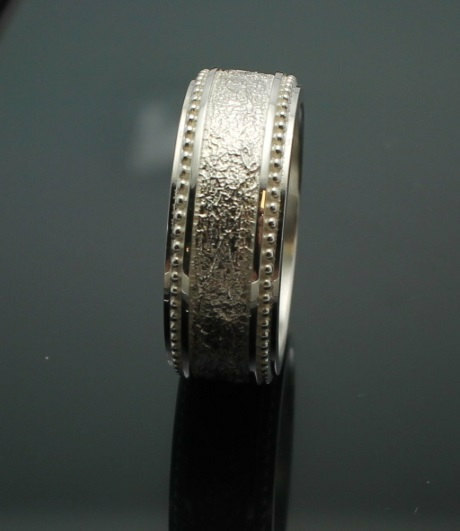 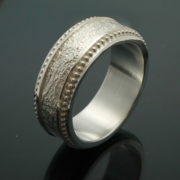 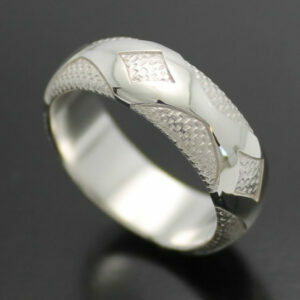 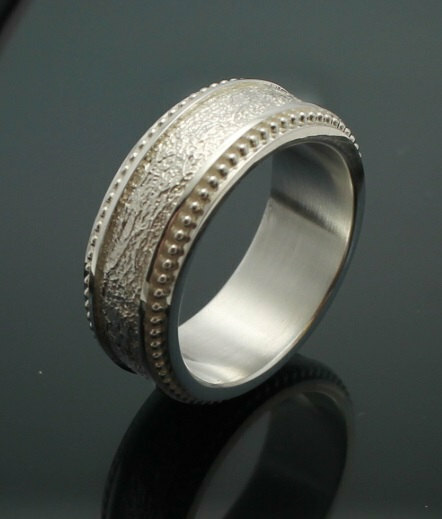 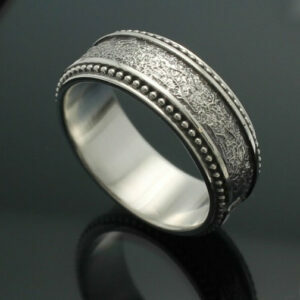 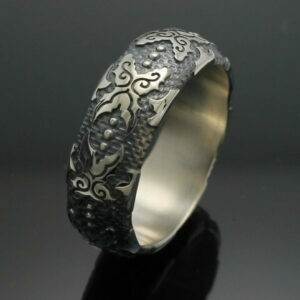 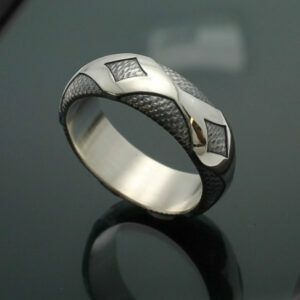 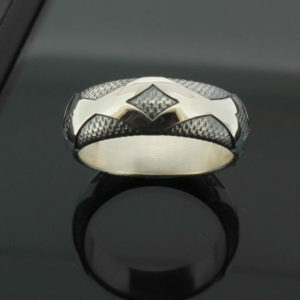 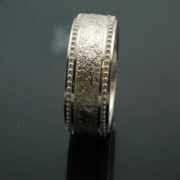 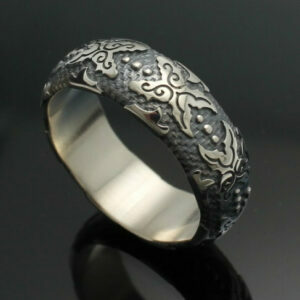 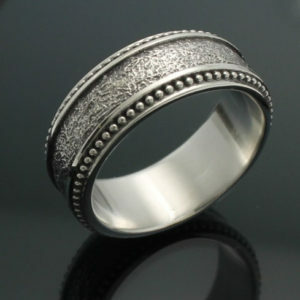 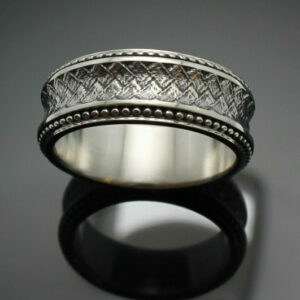 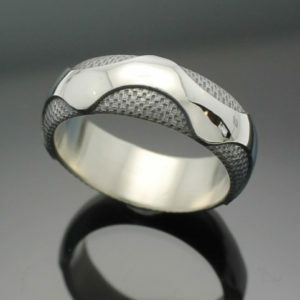 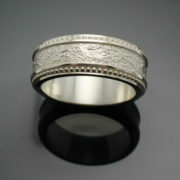 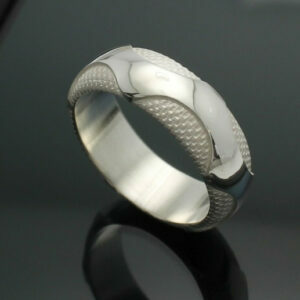 This beautiful and unique men's wedding band will be sure to stand out on your wedding day. 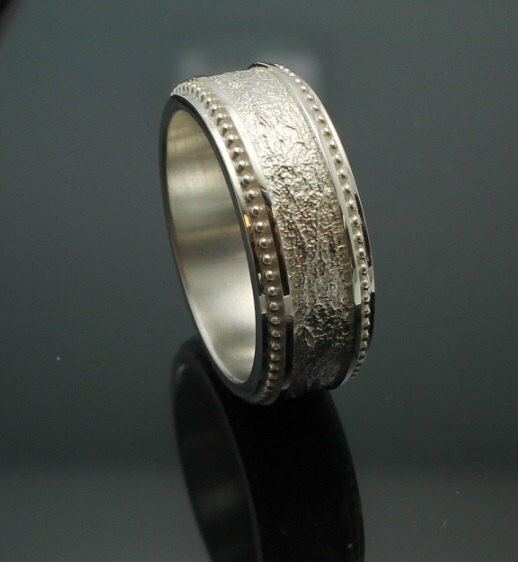 The high polish edges and milgrain next to the tobacco leaf texture creates a stunning contrast that is sure to receive compliments. 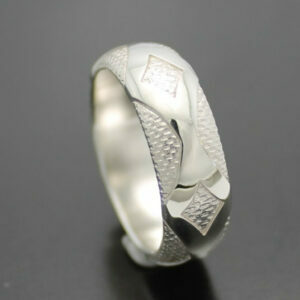 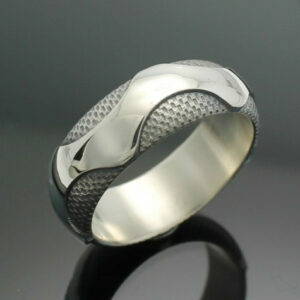 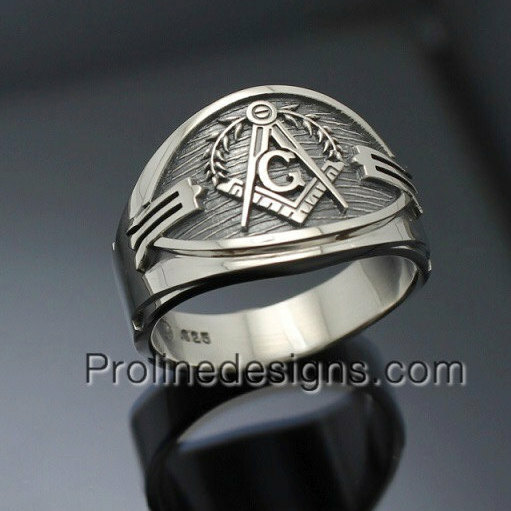 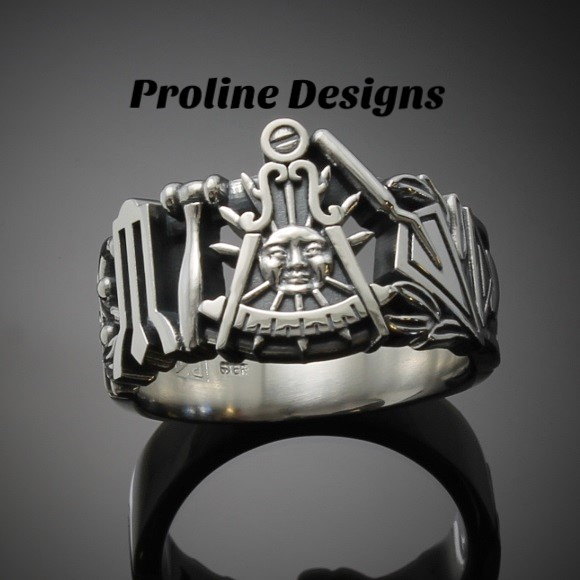 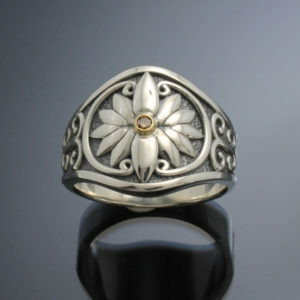 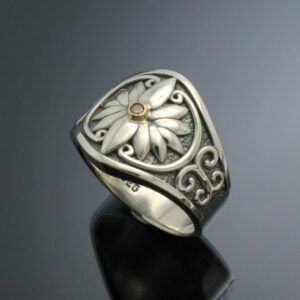 This is custom designed, hand cast and individually polished.